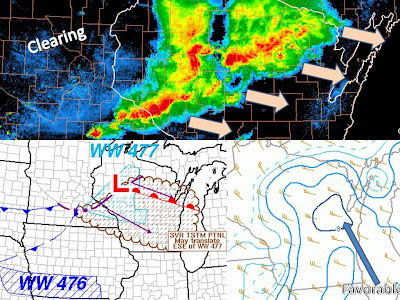 Severe Weather threat is beginning to diminish throughout much of the Midwest, except for Wisconsin. 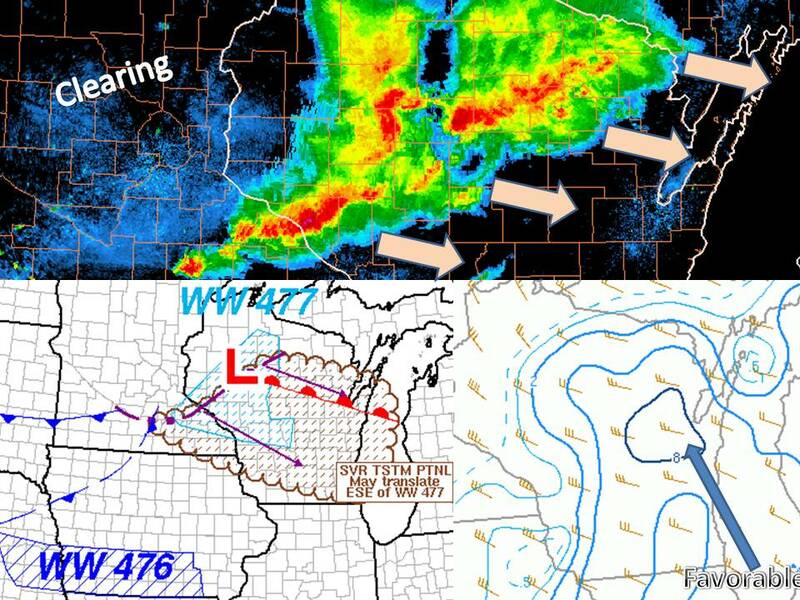 A line of thunderstorms is getting its act together in Central Wisconsin and will pose a damaging wind threat for eastern Wisconsin. Another severe thunderstorm watch may be needed relatively soon as these storms head into a favorable environment.